StopAfib.org recently had the opportunity to talk with world-renowned electrophysiologist, Eric N. Prystowsky. Dr. Prystowsky was a member of the writing committee for the atrial fibrillation guidelines and he shared with us what patients need to know about the guidelines and what they should ask their doctors. A transcript of the video appears below. Learn more about the Atrial Fibrillation Guidelines and download them. About Eric N. Prystowsky, MD: Dr. Prystowsky is the director of the clinical electrophysiology laboratory at St. Vincent Hospital in Indianapolis, IN, a consulting professor of medicine at Duke University Medical Center, Durham, NC, and a practicing electrophysiologist with The Care Group, LLC. He is the Editor-in-Chief of the Journal of Cardiovascular Electrophysiology, Editor-in-Chief of Medscape Cardiac Rhythm Management, and Contributing Editor for Electrophysiology and Pacing for theheart.org. He serves on the editorial boards of 16 journals including the journal Circulation. In addition to co-authoring two textbooks, he has also authored over 640 scientific manuscripts and abstracts concerning cardiac arrhythmias. He graduated from the Mt. Sinai Medical School in 1973 and completed his internal medicine training at Mount Sinai Hospital in New York City. He trained in cardiology and clinical electrophysiology at Duke University Medical Center. From 1979 to 1986, Dr. Prystowsky was a full-time faculty member at the Indiana University School of Medicine, where he was the director of the electrophysiology laboratory. In 1986, he returned to Duke University as a professor of medicine and the director of the Cardiac Arrhythmia Center. He joined The Care Group in 1988. He is past chairman of the American Heart Association's Committee on Electrocardiography and Electrophysiology, past president of the Heart Rhythm Society, and chairman of the Test Writing Committee for Clinical Electrophysiology for the American Board of Internal Medicine. Mellanie True Hills, StopAfib.org: I am with Dr. Eric Prystowsky of Indianapolis. He is a venerable electrophysiologist and was one of the authors of the guidelines. He has agreed to share with us some information about the guidelines so that afib patients can understand what kinds of things they should be aware of and perhaps have conversations with their doctor about. Dr. Prystowsky, thank you for joining me today. Dr. Eric Prystowsky: Let me tell patients some very basic things that they need to talk to their doctors about. The international guidelines were developed by fourteen of us—it took a couple of years to do it—where we reviewed the worlds literature on a variety of areas and as you probably know the guidelines are probably 150 to 180 pages. The truth is that a lot of surveys show that doctors aren’t reading the guidelines and you might imagine that it’s a pretty heavy task for most doctors. So we that have been involved with this for some time try to distill down a lot of the information. I lecture quite frequently on this, and patients need to know this, too. 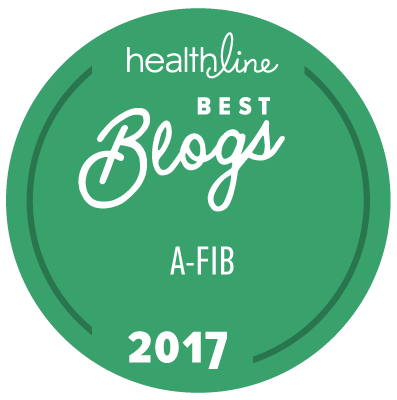 There are three very basic things they must get information from their doctors on as they go forward with their afib care. So let's just talk about those very briefly. The first is preventing stroke. This is critically important, and in fact is probably the most important of all the things we have done in the guidelines. There are very simple rules to this. The patients need to discuss with their doctors whether or not they need aspirin or warfarin therapy. It boils down to something we call the CHADS scoring system and it is a very simple acronym: Congestive heart failure, Hypertension, Age 75 or greater, Diabetes, and previous Stroke. Depending on the score, you can be OK with aspirin or you are going to have to take warfarin. You must cover that with your doctor. The second thing is a question of whether or not you need to be in sinus rhythm. Let me tell you that a lot of doctors unfortunately just say whatever. I get patients sent to me from around the country, and you and I have talked about some people that have been sort of given up on that we have turned things around. So it is not just OK—this is a very important part you need to discuss with your doctor—you must discuss whether you must be in sinus rhythm, or if afib by itself is OK. If you make a decision to be in sinus rhythm then the next steps are to discuss with your doctor what's the best therapy—is it drugs, is it ablation with catheters in the heart, or surgery? As a general rule, we suggest starting with drugs in the guidelines, and ablation would be your backup. Surgery is certainly an option, too. All of these techniques, like surgery and ablation, are very doctor dependant so you need to find out from your doctor, if you go that route, what is their experience, what are their complication rates, what are their success rates, and shop around if you have to. The third thing would be rate control, so if you decide to stay in afib, it is critically important that the rate is under control. It is not good enough to give someone a drug and a single EKG—you have to do some kind of long-term monitoring to make sure the rate is under control, because if not, you can develop a cardiomyopathy and heart failure. Yes or no, what kind of stroke prevention medicine do I need? Yes or no, what kind of rhythm do I need, sinus or afib? Then if you make the decision for rate control, get it right, and if you make the decision for sinus rhythm, go to the right choice. I think if you do that, and the patients know those questions to ask, they should have a much better go of it with their doctor.